Okay, so you probably haven’t been since you were 10, and besides… it’s free! If you’re looking for the perfect place to take yourself out for an afternoon date, why not make it a stroll through the reverberating halls of history? 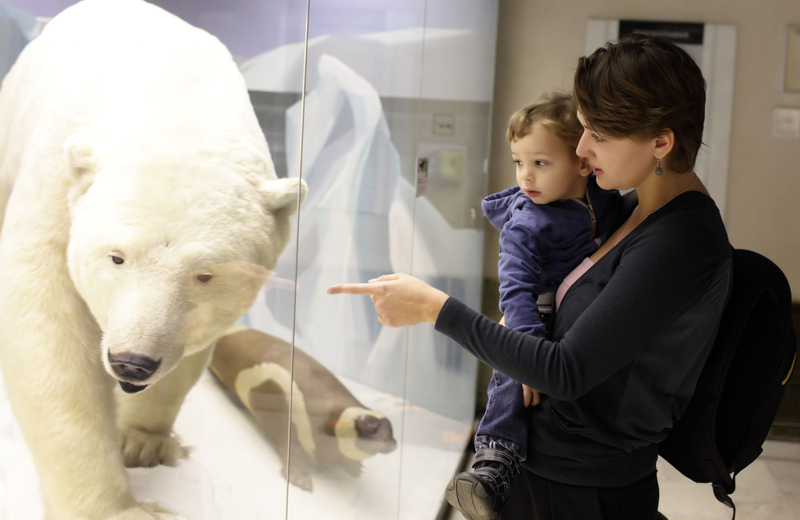 The first Tuesday of every month the Museum of Natural History opens its doors to free public admission (adults usually cost $20). The museum is monstrous, of course, but you can’t miss the dinosaur bones, which take up two large rooms. And the Becoming Los Angeles exhibit is a fun tour through modern SoCal history. Learn about how cow poop changed Los Angeles, marvel at the precious minerals in the moody gem vault, and don’t worry if you don’t understand any of those scientific Latin names – the placards are quite informative and there are guided tours around 2pm. When else will you have the opportunity to take a selfie in front of the skeleton of a mastodon? The museum awaits – just don’t get locked inside after hours. We’ve heard strange things can happen at night. Pro tip: Parking in the lot is $10, but free along the curb on Bill Robertson Ln. If afternoons don’t work for you, check out their Summer Nights in the Garden series, starting Friday July 10th. With botanical tours, garden-inspired cocktails, DJ music and activities for the kids, it’s a family affair that’s fun and free.